What Is The Definition Of Delayed Penalty In Hockey? 1. 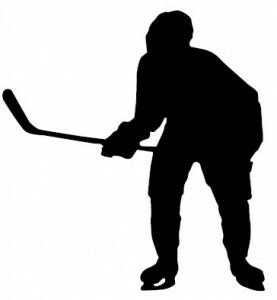 In hockey, the referee must wait for the offending team to have possession of the puck before calling a penalty. When the referee has to wait for a change of possession, it is called a delayed penalty. To communicate this, the referee uses a raised arm to signal that a penalty will be called, then blows the whistle once the offending team takes control of the puck. 1. The referee raises his arm to signal the delayed penalty on the Rangers, as the goalie comes out from in front of the net to stop the puck and wait for the call.